Soon to be seen every Saturday at MYC? 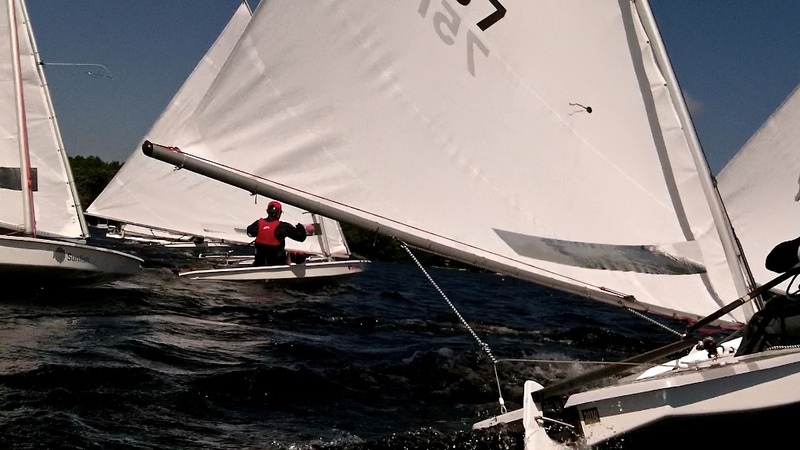 At their December 17 meeting, the MYC Board of Directors agreed to move forward with a plan for a formal Sunfish/Laser racing series starting with the 2013 racing season. The plans as presented have the Sunfish fleet joining the Laser fleet for joint small boat racing to be held on Saturday afternoons. The informal Saturday races will convert to a formal series, like the Flying Scot/Day Sailer series on Sundays. Moving the main Sunfish racing from Sundays to Saturdays allows 5-6 races on courses more friendly to Sunfish. It also allows regular Flying Scot and Day Sailer skippers to try the smaller boats, and conversely, to allow Sunfish sailers to try the bigger boats on Sundays. An alternate suggestion from the Board at the meeting was to hold Sunfish races on Friday nights to attract skippers from the Laser fleet as well. The board has asked Mark Stoughton to reach out to MYC's Sunfish owners with the plans, and to hold an informational meeting in January, with the goal of presenting a final plan to the full membership at the February 2013 General meeting.